A nice 2008 PNAS paper Maps of random walks on complex networks reveal community structure (PNAS 105, 1118) [pdf] by Martin Rosvall and Carl T Bergstrom creates beautiful and informative visualizations of citation networks in science (from 2004 ISI data) using a neat method for visualizing and analyzing complex networks. Martin Rosvall has a created a website that enables the creation of similar maps of network data. Figure 3. In Rosvall and Bergstrom 2008. 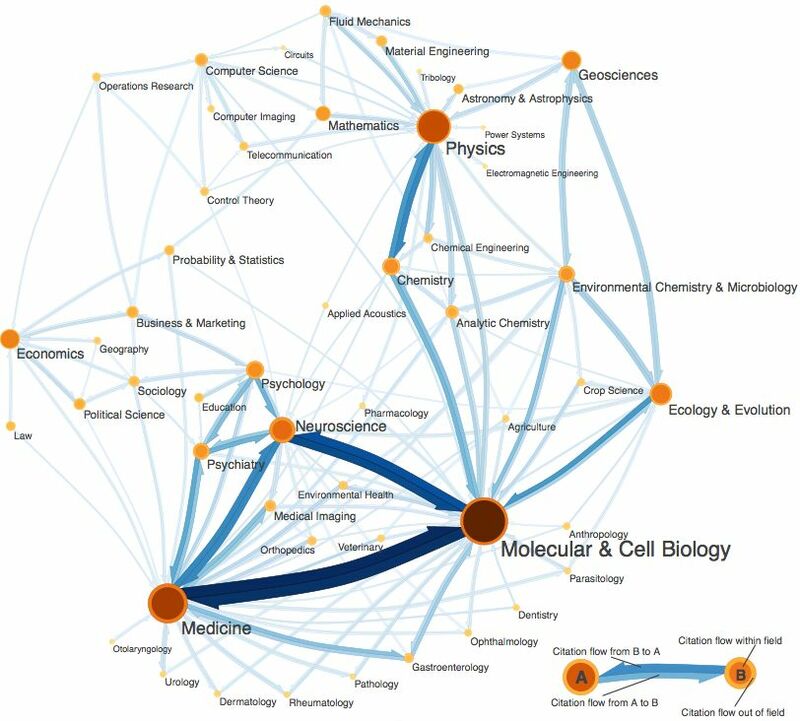 A map of science based on citation patterns. Analysis of 6,128 journals connected by 6,434,916 citations were clustered into 88 modules and 3,024 directed and weighted links. Figure 4. 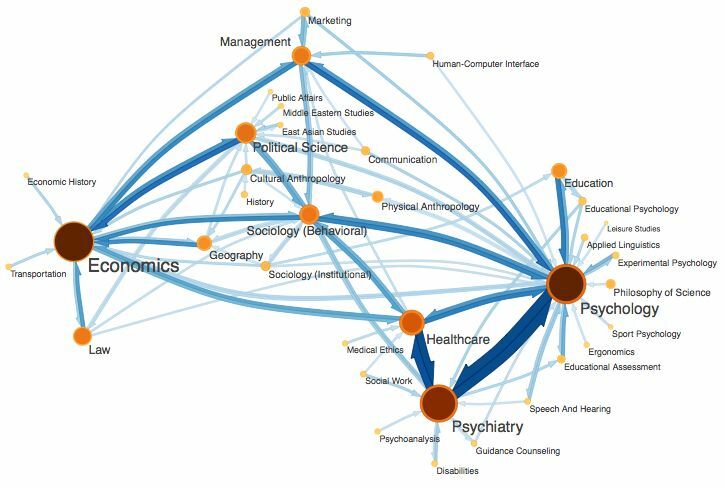 A map of the social sciences. The journals listed in the 2004 social science edition of Journal Citation Reports (32) are a subset of those illustrated in Fig. 3, totaling 1,431 journals and 217,287 citations.